Stars gather to pay tribute to Dolphy. (SPOT.ph) Following his death on July 10, 2012 a necrological service was held for the Comedy King at the Dolphy Theatre in the ABS-CBN compound yesterday, July 11, 2012. Stars, friends and family alike were in attendance to pay tribute to Mang Dolphy. 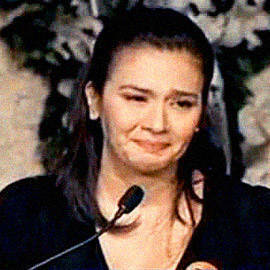 Several close friends also gave sincere and heartfelt eulogies for the actor, inlcuding Zsazsa Padilla and Eric Quizon. Also in attendance were Maricel Soriano, Basil Valdez and Senator Loren Legarda. Here are just some of the eulogies that aired on ANC. Sharon Cuneta was unable to hold her tears at Dolphy’s wake. Willie Revillame takes a moment during his show to remember the Comedy King. Maricel Soriano, who starred with Dolphy and Nida Blanca in John en Marsha, recounts how Dolphy was a surrogate father to her. Brod. Pete, star of Bubble Gang’s Ang Dating Doon, brought laughter to the audience as the perfect tribute. Nova Villa, who played Aling Ason alongside Dolphy’s Mang Kevin in Home Along Da Riles, managed to crack jokes while shedding tears. Eugenio Lopez III, CEO of ABS CBN says that the passing that Mang Dolphy’s passing "marks the end of an era in Philippine Television." He described him as an "extraordinary person that became a symbol for the ordinary Filipino." Eric Quizon, actor, director and son of Dolphy shares that his father has come home. He describes how his father’s illness has brought their family together. Zsazsa Padilla, Dolphy’s longtime partner, ends her tribute with an acapella rendition of Kenny Rogers Through the Years which brought the audience to tears. Note: We will be adding more videos from Dolphy’s friends and famly as the tributes go on. Screencap of Zsazsa Padilla’s eulogy taken from Zsazsa’s Facebook page.